For a long time after sunspots were discovered telescopically by Galileo, there weren’t any to see. 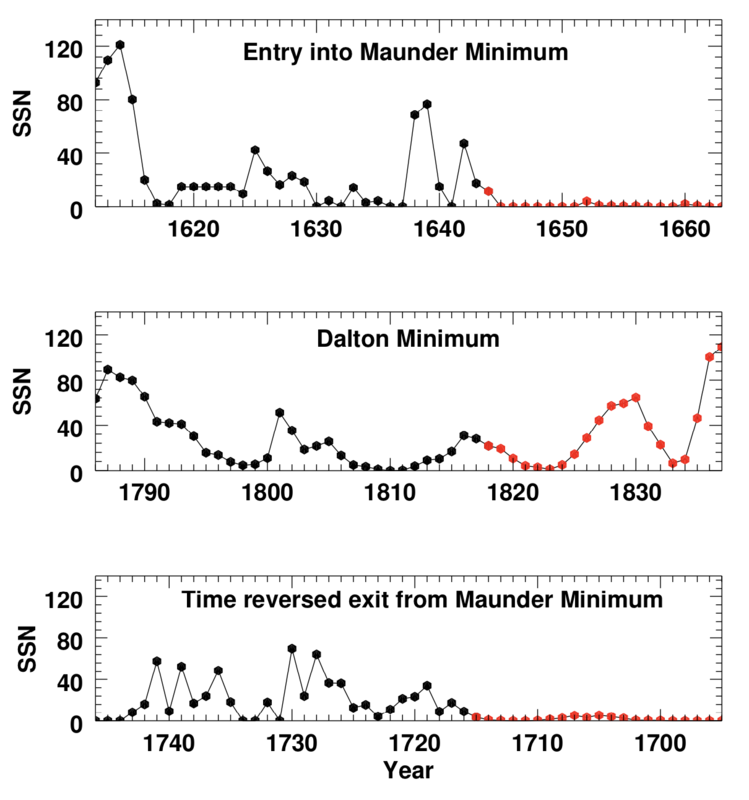 John Eddy has a nice paper on the history of sunspot measurements, showing conclusively that there was an 80-year period, now called the “Maunder Minumum”, in which the Sun just didn’t have any sunspots. Why not? We’d love to know. The Solar dynamo is a bit of a mystery, and it just apparently turning off for 80 years is kind of important—it may have even had an effect on climate on Earth, although that case is often overstated (it’s not glaringly obvious from the global temperature anomaly record). 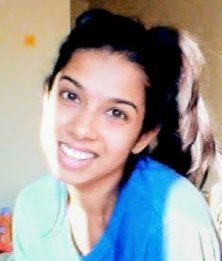 Shivani Shah, Penn State undergrad now applying to a graduate program near you! 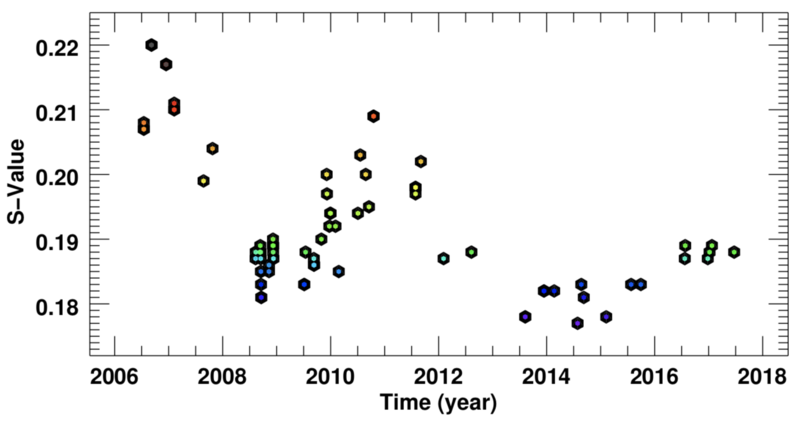 Finding another star undergoing such a period would be great. We could study its corona and chromosphere it answer questions like: Is it still undergoing its magnetic cycle, just without sunspots? Is it just an extended minimum that lasts many cycle periods? Or did the dynamo turn off entirely? If we had a sample of them we could ask: is this typical behavior of Sun-like stars? All cycling stars? Just stars of the Sun’s age? For a while, people looked for extremely inactive “sun-like” stars to find “Maunder minimum stars”, but I showed in my thesis that these stars are in fact not Sun-like (they’re subgiants). People looked in M67, a cluster filled with Sun-like stars, to find extremely inactive stars there, but Jason Curtis showed that these stars were not actually all that inactive (the ISM got in the way). For a long time Steve Saar has advocated using time series to see a star do what the Sun apparently did: go from a cycling state to a quiet state (or the reverse). This means using the 50+ year baseline of activity measurements we have of stars to find a cycling star that transitions into or out of a cycling state to a “flat activity state”. That would make for a pretty convincing candidate, I think. Activity history of HD 4915. Larger “S-Value”s mean (presumably) more starspots. Note that the star came down from a (presumed) maximum, came up to a second, weaker maximum, then had a very slow rise to what seems to be a very weak maximum. Is the magnetic cycle of this star dying out? Sunspot number vs. time for three magnetic state transitions on the Sun, from the Hoyt & Schatten 1998 historical reconstructions. Note that we have reversed the x-axis on the bottom panel. Black dots above are the parts of the Solar record we are suggesting to be analogous to the HD 4915 time series. The red points are our projections of its future behavior if the analogy is perfect. So, if this is analogous to the “Dalton Minimum” (no, not that Dalton Minimum) then the next cycle should be rather strong; if it’s truly going into a Maunder Minimum-like state we may not see any activity for another 80 years! So only time will tell if this is right, but I think it’s the best candidate I’ve seen so far. I hope that by studying this star we can finally crack the nut of what the Sun was doing without sunspots for all those decades! The paper is on the arXiv here. Comments welcome! This entry was posted in science, Uncategorized on January 30, 2018 by jtw13.